Discover how you as an adult can learn how to play the guitar! Let go of excuses holding you back from your guitar dreams! 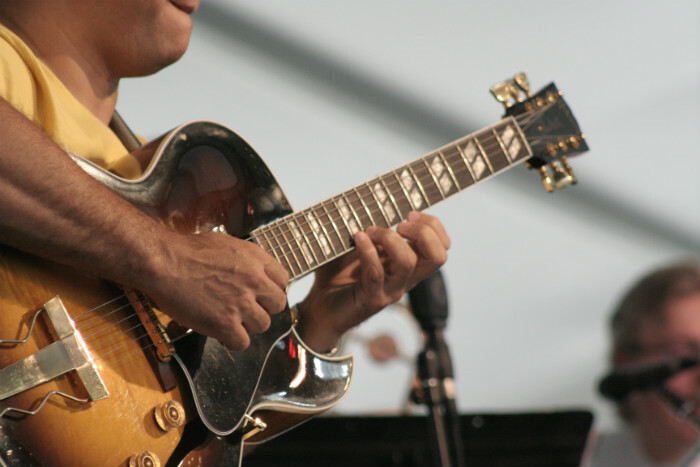 An adult learning to play the guitar, or any musical instrument for that matter may seem to be an anomaly. Far too many people assume that if you haven’t learned to play a musical instrument as a child that you will never master it as an adult. You may wonder how it can be possible when we all know that brain plasticity changes as we grow older. We forget however that some of the most talented people in different areas of life have only emerged in later life. This is often true of artists who have had to wait for life events to take place so that they can embrace their gifts. Claude Monet and Mary Delaney are only two that should instantly come to mind. The music world is no different, with talents like Andrea Bocelli and Susan Boyle being discovered long after the accepted age of discovery. There are many reasons why it would never be too late to learn to play the guitar. The only real impediment to learning the guitar as an adult and more so as a mature adult would be the limitations you place upon yourself. Your body replenishes its own cells and while it may be slower to do so than when you were younger, with adequate practice, you will be able to rewire your brain to do just that – play a musical instrument. The single greatest factor that will influence your success, is your own motivation. A desire to succeed will influence the outcome. If you are truly motivated and are prepared to practice, then there is no reason why you will not complete your lessons, able to play more than a simple childish tune. Of course, you could try self teaching but there are risks involved in that too. How will you know when you are making a mistake? An experienced teacher will prevent bad habits and errors from setting in before they even happen. By breaking up the challenge into small parts, you will be able to overcome any difficulties that you face, especially when you first start to learn to play the guitar. 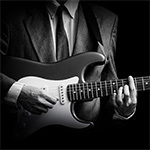 Every adult learner will have a reason why they have decided to embark upon guitar tuition. It may be a lifelong desire or a decision to open doors to improve their social life. Because there are reasons behind an adult student deciding to take lessons, the motivation is usually well grounded. It may be a challenge getting into the mindset as an adult learner, but it is in fact a greater worry to many adult guitar students that their fingers will not perform to order. Just like anything else, your fingers can be trained and in the same way that any other manual skill is about practice and coordination, so is learning to play the guitar. With plenty of practice your finger movements will become natural. There are so many different genres of music out there that frustration should become a thing of the past. 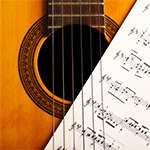 A guitar student can choose music to practice that is within their skill base from almost any genre. By having a personal interest or like for the music, the motivation to practice is increased and naturally your skill will be perfected faster. No one is going to become a music superstar overnight. If you compare your skills to those that have been playing for thirty years after three weeks of practice, then you’re going to be disappointed. Rather monitor your progress as you’re able to play tunes that are more and more complex over time. Its OK to set goals, but be realistic taking into consideration the amount of lessons you can attend weekly as well as your own practice schedule. The best advice is to start slow and solid and then to add more time as you become a better guitarist. 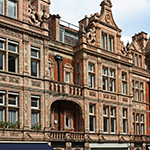 You need to be willing to invest in yourself and your guitar education and that is exactly why you need to study with a dedicated guitar center for adults such as the London Guitar Institute. By investing in your own guitar education you give yourself the best chance of succeed as an adult wanting to learn the guitar. Learning the guitar well requires tremendous patience, discipline and practice. With a great guitar teacher, you can make that journey a lot more enjoyable and you will definitely get there quicker! As the saying goes – it is never too late to have a happy childhood. You can learn to play guitar whether you are eight or eighty. What stands between you and that impressive guitar solo is yourself. Learning music theory will be much easier too because absorbing applicable knowledge on an everyday basis is a skill that adults use every single day. Since you already know what kind of music you like as well as the time, money and effort you have available, getting into your guitar routine should not be all that difficult. If you are ready to get started on your journey to guitar success – give us a shout here! In this video, Stefan Joubert debunks the myth that adults cannot learn how to play the guitar properly. The facts are that with great guitar education, a solid practice schedule and hard work, you can achieve all that you set out to achieve with the instrument! It is however, vital to take top-notch guitar instruction with a solid mentor who can help you become the guitarist that you’ve always want to be! Make your boldest dreams come true and take that leap of faith to achieve your highest goals! Remember, you are a miracle – one in a million and you have all the potential within to become who YOU want to be! As long as you follow a proven guitar lesson strategy and take guitar lessons with an outstanding instructor, you will get there! Faith and action go hand in hand. If you take action, get started then it will only be a matter of time before you excel at playing the guitar!